The struggle is real, but suffering can be optional if you're armed with the following. (SPOT.ph) Commuting in the metro is already a challenge on its own, and with the rainy weather, you can expect it to be even more tiring. You don’t have to struggle as much. Make sure you have all your rainy-day essentials so your trip will be less of a hassle. Gear up with these so your next commute won't be such an ordeal. For starters, you should always have an umbrella with you no matter what the weather situation is. Go for an umbrella that will easily fit in your purse or backpack. Hate getting mud or puddle stains on your shoes? Stay on the safe side and go for water-resistant footwear so you won’t have to worry about getting your socks wet and your kicks, dirty. Keep your belongings dry at all times with a water-repellent backpack. That’s one less thing to worry about. Apart from an umbrella, it’s always a good idea to bring a jacket for an extra layer of protection from the storm. Just toss a pocketable parka in your tote and you’re good to go. 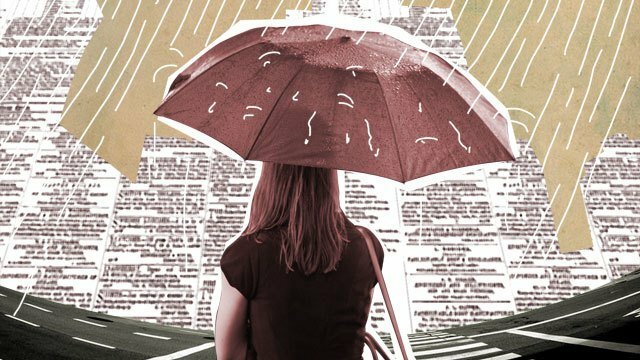 Best to switch to a weather-proof watch during the rainy season especially if you’re a commuter, so you won’t have to risk breaking any of your other timepieces. Nothing’s more annoying than your phone running out of power during a stressful commute. You’ll never have to worry about that happening if you have a power bank with you at all times. Make your hellish commute bearable by zoning everything out and listening to your favorite rainy-day tunes. When howling winds strike, getting wet is inevitable even if you have an umbrella or a jacket, so be sure to dry up with a handy face towel before heading to an important meeting. It’s normal for your face to feel icky after commuting in the rain. After drying your face, freshen up and blot away shine with a compact face powder. No one will know that you just braved a storm. Make sure your hair is always in style regardless of the weather situation. Keep a brush in your bag so you can tidy up your ‘do any time, anywhere. There’s nothing more annoying–and sometimes, embarrassing–than the smell of rainwater on your clothes drying in humid conditions. Keeping a fragrance or body spray in your bag lets you freshen up any time for that extra confidence boost. Blackwater is currently looking for groomers and professional stylists who can help with photo and video shoots, become speakers in future events and grooming workshops. Every Blackwater Grooming Council member will get their hands on new Blackwater products; a Blackwater Grooming Kit–a special gift that each member will receiver after six months when they meet or exceed the requirements; product packs every three months upon signup; and special invites to exclusive shoots and other events. Post at least two flatlays with Blackwater products on Facebook and/or Instagram every month. Post photos of professional work featuring Blackwater grooming products twice a month. Send your styling and grooming portfolio at blackwatergroomingcouncil@gmail.com with your name, mobile number, gender, home address, E-mail address, public Instagram and Facebook account names, and years as a stylist or groomer. 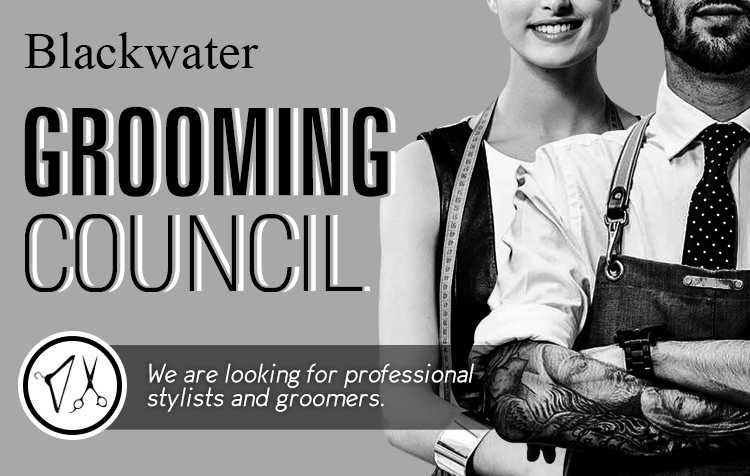 The search for the members of the Blackwater Grooming council is until July 4, Wednesday. Visit Blackwater’s website for more information.